New taxes on imported goods bought online have created some controversy in China with many fearing that the prices of imported necessities as well as luxury items will soar. The new taxes were introduced by the Chinese Ministry of Finance, the General Administration of Customs and the State Administration of Taxation and came into effect on April 8. Retailers of imported goods and customers have reacted with mixed feelings about the new tariffs and social media has also spread rumors fueling the controversy. Some Chinese mothers had been stockpiling foreign baby formula products before the new taxes were introduced believing that the taxes on baby formula would increase by a large amount. And a photograph of a traveler apparently dumping a large amount of foreign purchases at an airport so that he wouldn't have to pay the tax went viral - later it turned out to be a hoax. So exactly what are the new taxes and how will they affect ordinary people? The Global Times talked to experts and industry insiders to get some insight into the new regulations. The new import taxes will have the biggest impact on imported e-commerce retailers. Previously overseas goods purchased through e-commerce platforms were treated as "personal postal articles" which enjoyed a lower tax rate than conventionally imported goods. Taxes under 50 yuan ($7.72) were also waived. 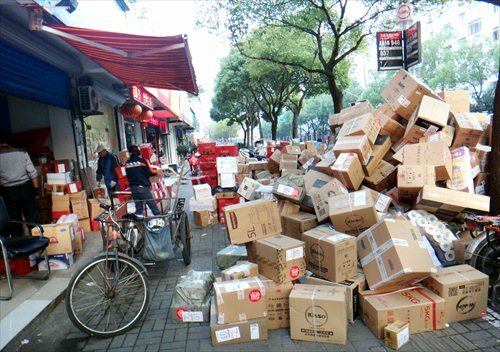 Zhang Bin, a research fellow of the Chinese Academy of Social Sciences said in an interview with business.sohu.com that the parcel tax was not intended to apply to commercial trading which is exactly what online retailing has become and authorities believed this anomaly was unfair for conventional importers and domestic producers. Under the new rules, overseas goods purchased through e-commerce platforms are subject to import duties as well as value added tax (VAT) and consumption tax in China. This is expected to drive up prices on imported goods on online shopping platforms. These tariff increases have pushed some e-commerce operators to introduce new measures to keep their customers happy. Mia.com, an e-commerce website specializing in imported baby and maternity products announced that it will cover the taxes for imported milk power and diapers for its customers. A public relations officer with Mia.com told the Global Times that tax pressures were already burdening customers. She said that customers previously hadn't needed to pay tax on a package of 100-yuan diapers, but under the new rules, the same package of diapers has an 11.9 percent tax. This means that customers now have to pay 111.90 yuan for the diapers. But, she said, her company has pledged to cover the extra taxes. And Liu Peng, the general manager of Tmall International, Alibaba's platform for cross-border commerce, told the Xinhua News Agency that many of the platform's retailers would keep their prices unchanged by trimming their own profits. Now a single import purchase can only be worth a maximum of 2,000 yuan per transaction with an annual limit of 20,000 yuan per person on goods that will not be taxed. Goods that exceed these limits will be levied the full general import duty. The Mia.com spokeswoman stressed that the 20,000-yuan annual limit is the total price of goods a customer can buy on all imported e-commerce platforms, not just from a single platform. "The authorities keep records of individuals' import transactions. If a consumer has used up the 20,000-yuan annual quota, then when he or she purchases any other foreign goods online, the retailer will not be able to clear the product from customs without paying tax," she said. She explained how online importers work with customs in China. "Goods imported through online retailers are usually kept in bonded areas supervised by China customs. When a customer buys an imported product on an e-commerce platform, the retailer packs the product, and the parcel is checked by customs staff before it is delivered to the buyer," she said. China has enjoyed a booming e-commerce importation sector since 2014. Statistics show that there are more than 5,000 registered importing e-commerce platforms in China. The Ministry of Commerce has also predicted that imported e-commerce products in 2016 will be worth 6.5 trillion yuan and will soon account for 20 percent of China's foreign trade. Despite the rapid development, the industry still lacks proper supervision. Mo Daiqing, a senior analyst with the China E-Commerce Research Center, told the Global Times the new policy is expected to create a more orderly e-commerce importation sector. "The new regulations could prevent tax evasion, because under the previous policy some e-commerce operators took advantage of the postal article tax and used methods like repackaging and mailing products separately to avoid tax," Mo said. She added that many retailers had sold cheaper products free of tax, but the tax rates for these low-end products would increase, and this could encourage retailers to sell more high-end products that attract lower taxes under the new regulations. This would likely bring consumers a wider selection of foreign products. 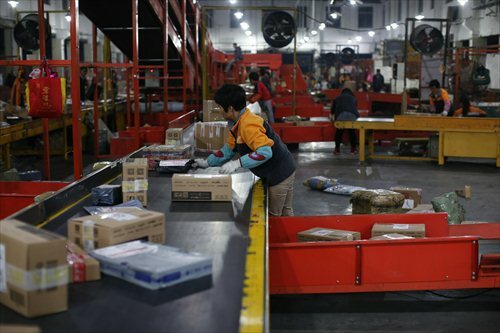 While the new rules have brought some worries and some hope to e-commerce platform operators, individual online retailers of foreign goods seem unconcerned about the new tax rules. Taobao show owner Liu Ming (pseudonymous) sells New Zealand goods like skincare and health care products, and said her business has not been affected by the new regulations. "Spending on skincare or healthcare products and milk powder does not account for a large proportion of the household budget. Even if there is a small increase in the tax, I think customers will still want to buy high-quality and trusted foreign products," Liu said. The new regulations have also changed the rates of the personal postal articles tax. Under these new tax rates, the tax on cheaper goods like baby products and food as well as luxury goods costing more than 2,000 yuan will increase, while taxes on products like cosmetics and clothes (within certain price ranges) will drop. Asked whether she was under the pressure to raise her prices, Liu said some of her prices might increase slightly but this was not because of the new taxes. Liu usually pays New Zealand express companies to transport goods from New Zealand to China, but recently these companies have changed the number of products that can be packed in one parcel. "I used to put several items in the same parcel, but now I have to put fewer things in parcels to avoid extra tax. And this is increasing my delivery costs," Liu said. "I used to pack six cans of milk powder in the one box, but now I am only allowed to put three cans. Because of the rising transport costs, I have to charge six to 10 yuan more for each can of milk powder." But she said even with the added cost, the price of her milk powder was still lower than similar products sold in Chinese supermarkets. Liu said she didn't know how her express companies dealt with customs or paid taxes. Another Taobao shop owner Zhang Xin (pseudonymous) who sells Japanese cosmetic and skincare products pointed out that the new tax regulations have changed the way she delivers her products. "I used to mail large quantities of Japanese goods from a local post office to China and then ask my partner in China to deliver these to the individual customers," Zhang said. "But now since Chinese Customs have tightened the checks on goods sent to China, I tend to use direct delivery services and mail smaller parcels from Japan to each Chinese client to avoid the tax." She added the increase delivery fees would be passed on to customers so they would not affect her profits. An anonymous industry insider said the new import taxes would have little effect on retailers that use importing delivery services, but would seriously affect the business of personal customers like international airline crew, overseas tour guides and tourists. Guo Zhengang (pseudonymous) has been running a Taobao shop selling high-end Japanese cosmetic and skincare products for more than three years but he is closing his shop down this month. "I work at an airport and know many international airline hostesses who can buy foreign goods abroad at cheaper prices and I worked with them to sell these products in China," Guo said. But recently he noticed that the staff at Pudong International Airport have tightened checks on luggage. He said that if airline hostesses were found to be smuggling large amounts of foreign goods to China, they would be investigated by the authority, and could face fines or even imprisonment. For everyone's safety, he has decided to close his shop. Under the new regulations goods worth a maximum 5,000 yuan in reasonable quantities for personal use do not have to be declared. Recently China's customs officers have tightened checks on the amount of overseas products travelers are bringing into China. The Shanghai Customs District reported it caught 13 Chinese travelers bringing undeclared foreign goods to China from January to March this year. And police have also been involved in these cases. One Chinese woman was found to be carrying 355 cosmetic products and luxury handbags without declaring them. Her passport showed she had been flying to Japan or Korea regularly and was suspected of being a contraband goods smuggler. She later admitted that she was selling the products back in her hometown.